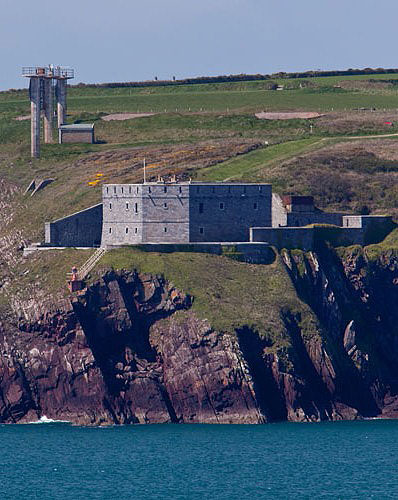 The Fort is on the opposite side of Milford Haven Estuary / Over 1 mile away on Dale Penninsula. The original West Blockhouse was a Tudor round fortified gun tower dating from 1542 ?. Open Battery of 5 Guns from 1900's on high ground above fort . The fort is now a Landmark Trust Property .